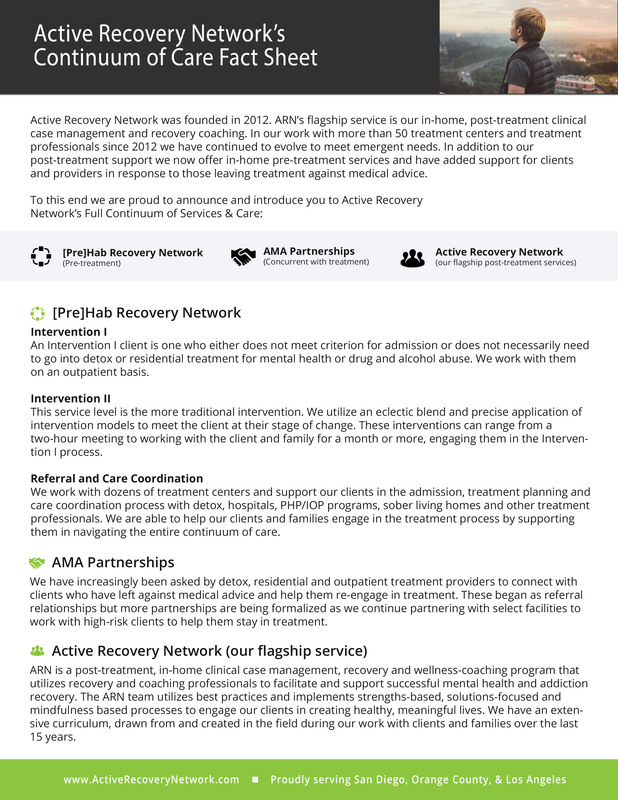 Active Recovery Network was founded in 2012. ARN’s flagship service is our in-home, post-treatment clinical case management and coaching. In our work with more than 50 treatment centers and treatment professionals since 2012 we have continued to evolve to meet emergent needs. In addition to our post-treatment services we now offer in-home pre-treatment services and have added support for clients, families and providers to support those in need who are choosing to leave treatment against medical advice. 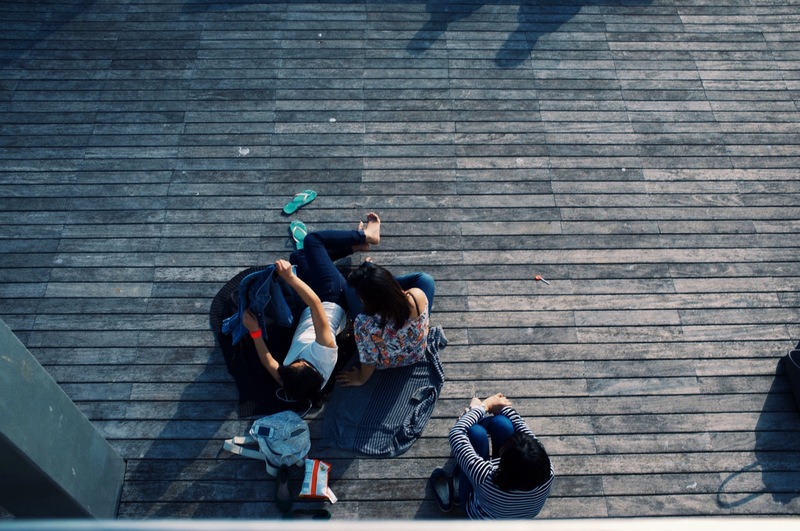 An Intervention I client is one who either does not meet criterion for admission or does not necessarily need to go into detox or residential treatment for mental health or drug and alcohol abuse. We work with them on an outpatient basis. This service level is the more traditional intervention. We utilize an eclectic blend and precise application of intervention models to meet the client at their stage of change. These interventions can range from a two-hour meeting to working with the client and family for a month or more, engaging them in the Intervention I process. We work with dozens of treatment centers and support our clients in the admission, treatment planning and care coordination process with detox, hospitals, PHP/IOP programs, sober living homes and other treatment professionals. We are able to help our clients and families engage in the treatment process by supporting them in navigating the entire continuum of care. 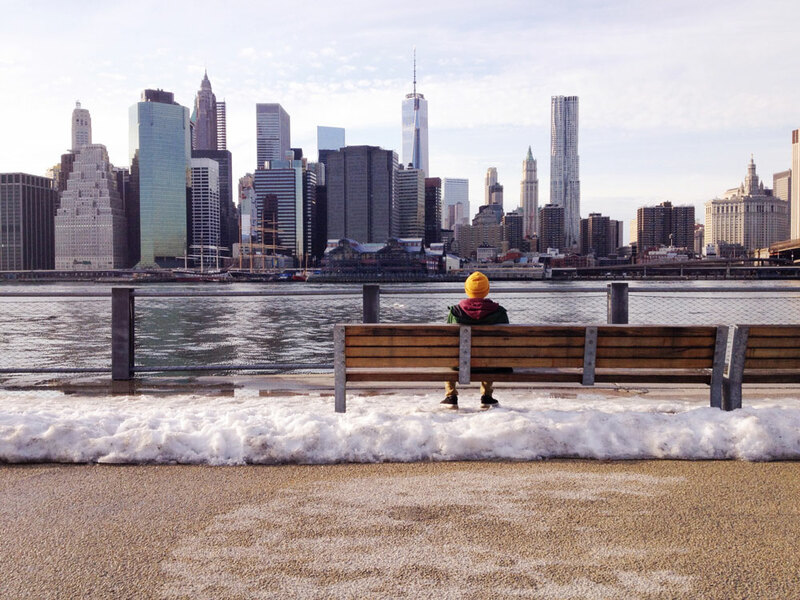 We have increasingly been asked by detox, residential and outpatient treatment providers to connect with clients who have left against medical advice and help them re-engage in treatment. These began as referral relationships but more partnerships are being formalized as we continue partnering with select facilities to work with high-risk clients to help them stay in treatment. 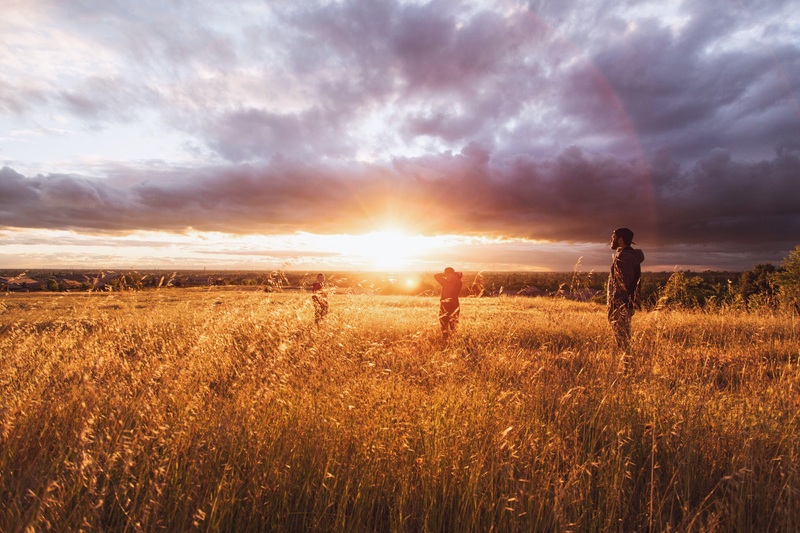 ARN is a post-treatment, in-home clinical case management, recovery and wellness-coaching program that utilizes recovery and coaching professionals to facilitate and support successful mental health and addiction recovery. The ARN team utilizes best practices and implements strengths-based, solutions-focused and mindfulness based processes to engage our clients in creating healthy, meaningful lives. We have an extensive curriculum, drawn from and created in the field during our work with clients and families over the last 15 years.